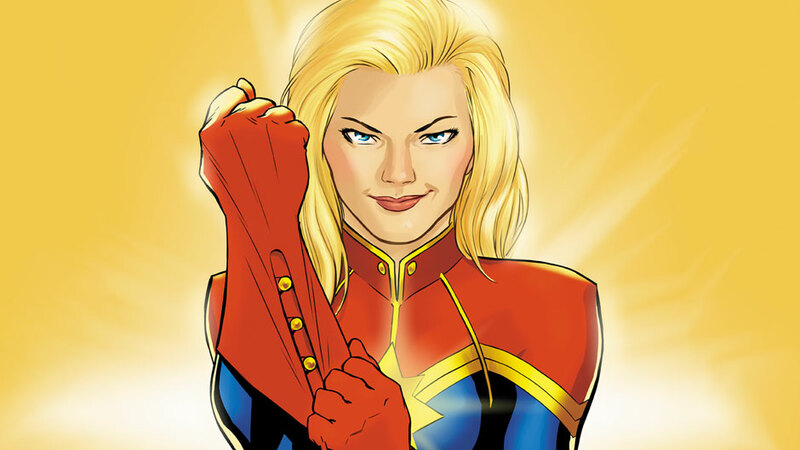 So, Marvel just announced a Captain Marvel movie. Are you excited? I’m excited. Let’s be excited together. Yes, I am aware that Sony and WB/DC beat Marvel to the whole female superhero thing; Sony announced a villainess-focused Spiderman spinoff some time ago, and DC managed to get its Wonder Woman announcement out a few weeks ahead of Marvel’s mic drop. The problem is that Sony and WB/DC have been cranking out consistently lousy movies. Sony’s Spider-Man movies have been declining at the box office, largely because the movies are failing to to anything new or even do the familiar competently. The DC movies have managed to do better at the box office despite pans from critics. And of course, Fox hasn’t even bothered to include a woman-led movie in its lineup, even though it has all of the X-Men to choose from (and it’s worth noting that Days of Future Past had a female lead in the original comic). I don’t think studio executives will reexamine their views about lady-led superhero movies until one dominates the box office. There is still this belief that women can’t helm a successful science fiction movie, and it’s because the few movies we do get are exceptionally poorly done. Take the pitiful crop of recent super-heroines. Lucy was a racist, nonsensical disaster. Before that, the last superhero movie with a female protagonist (not counting My Super Ex-Girlfriend) was Elektra, all the way back in 2005, featuring the love interest of one of the biggest superhero flops of its time. Going back further, Catwoman was a legendary mistake with a miserably bad script in 2004, and that was the first female-focused superhero movie in eight years. There’s a lot riding on these upcoming superheroines; if these movies flop, we’re probably not going to see another leading lady in the genre for a long time. So I’m excited to see Marvel, the studio that has consistently been turning out both successful and satisfying movies, finally getting around to putting a woman front and center. What’s concerning is that Kevin Fiege, the current president of Marvel, said that Marvel was too busy to make a female superhero movie in an interview in August (although it’s possible that he was being purposefully evasive to keep this week’s big announcement under wraps). This could mean that Captain Marvel is a very new addition to a lineup that was supposedly meticulously planned. Will it get the same consideration as the other movies slated for release, or will it be another disappointing afterthought?